Or, learn more about creating a beautiful self-published book with CompletelyNovel. 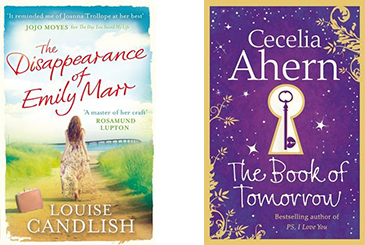 You shouldn’t judge a book by its cover – but your readers certainly will. It’s probably one of the key areas that self-published writers fall down on. If your book doesn’t look great on the outside, then people are going to be much less likely to take a peek inside. Scott Pack, the head of the innovative publisher The Friday Project and a former book buyer at Waterstones also has some great tips on cover design in this short video. You don’t have to be a graphic designer to create some great results, if you have the time and the tools to do so. Perhaps the most important and striking part of a cover is its main image. Take your time to select a good photo and your job will be half done. For even more professional results, programs such as Adobe Illustrator are great for creating graphics. Adobe Photoshop or its free alternative Gimp are excellent for manipulating photos to make them look great. Although Gimp has a useful online users’ guide, it and the Adobe programs are quite complicated and will require quite a lot of time to learn to use them properly. If you are after a quicker solution, it might be worth using a program you are more used to, such as a word processor or a simple graphics application. With a bit of time and effort you can produce good results yourself. 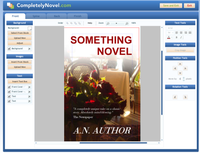 For authors publishing on CompletelyNovel, you can use our online Cover creator, which is a free tool that works like a basic version of Photoshop. Even better, the creator will automatically size and render the book for you to the correct printable files. Why not have a play by signing up to CompletelyNovel? DO make your title big and bold! 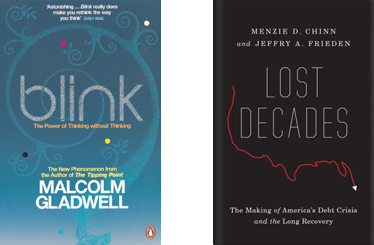 The best book covers, particularly those that are going to be seen as thumbnails on a computer screen as well as in a bookshop in hard copy, should have a large, easy-to-read title and author name on them. This makes it much easier for the reader to identify the book. Your book cover should focus on one image or idea. It should be simple and striking. There is no need to put an image of every character, setting and theme on the front cover, as your book will explain that for you. 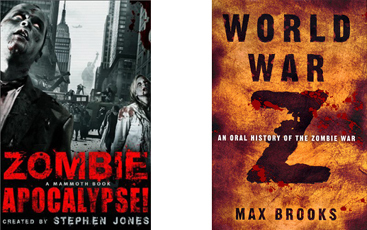 Aim to entice your reader into picking up the book – don’t give away the ending on your cover! A mood board allows you to put all of your ideas into one place, so that when you start putting the cover design together, you don’t begin with an entirely blank canvas. Every designer has their own method, but essentially you’re pulling together a collage of inspirational visual cues that can help you figure out how you are going to get your book’s message across to its audience. This is something that you can start doing from an early stage. Take photos, take screenshots of typefaces that you like, find colours and patterns that resonate with the book’s contents, and organise them into common themes. Remember that there will also be a spine and back cover to design, too! Make sure you think about how these are going to fit together, and how you are going to incorporate your blurb onto the back. If you’re planning to have an image that wraps around the whole cover, then the images will have to be even bigger. You can always reduce size and quality, but if you start from a small size, then increasing it is impossible without further lowering quality. 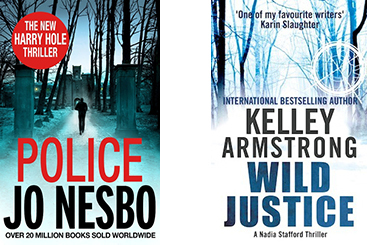 Stretched or blurry images quickly undermine a professionally designed cover! If you don’t have exactly the right photo, remember that the internet has some great archive images that are a great resource. Some you will need to pay for, others are free. If you do use someone else’s image, just check that you have permission to do so! Make sure you get an image that is 300dpi as this is the standard resolution used by printers. To get a decent sized hi-res version of an image on these websites you might only need to pay £5 or less, so it’s definitely worth investigating. 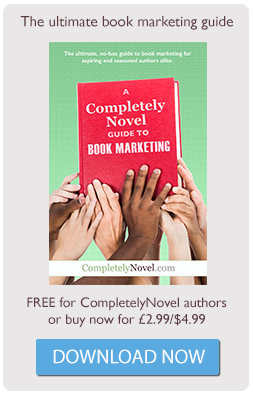 If you publish your book yourself on CompletelyNovel, you can use the our cover creator for free. If you don’t have your own complete design, you can either choose from a selection of stock images or you can upload your own picture and then add the text. Find out more about our free Cover Creator. A blurb is a short description of the book, and is usually found on the back cover. It is often the thing that convinces a reader to buy the book, so it is important to get right. Before thinking about your blurb, have a look at the books on your bookshelf to see what they include. Your blurb should be a a few short paragraphs, and attempt to make your book sound interesting. The aim of your blurb is to entice your reader into reading the book – it should state the ‘stakes’ of the story (so, what the main conflict is), without giving away the ending. Think of it like a film trailer – you are showing the key parts of the story and leaving out the small details. Blurb writing is a hard art to perfect, but there is lots of help out there for authors who are struggling. For more advice, see our guide to blurb-writing on the ALLi blog. Want help designing your cover? Check out our People We Trust page.